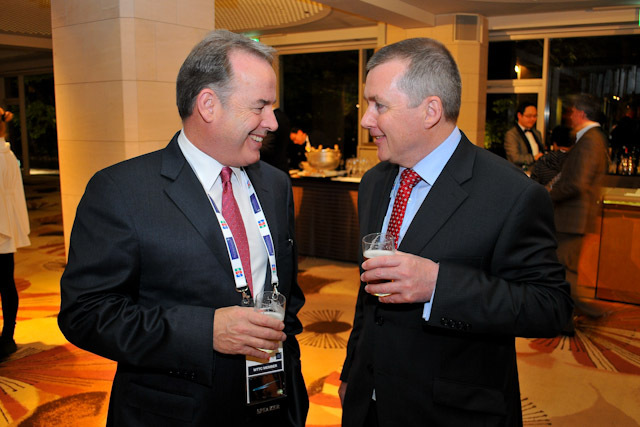 The World Travel & Tourism Council (WTTC) has confirmed it will hold its 13th Global Summit in Abu Dhabi in April 2013, with ADTA and Etihad Airways set to become official hosts of the biggest annual gathering of tourism leaders. Handing over the symbolic ‘globe’ to Abu Dhabi’s tourism heads in the closing session of the WTTC Summit in Japan, David Scowsill, WTTC president, credited the destination for its Government’s ‘infectious enthusiasm’, its ‘increasing accessibility and standards of capability’ and its ‘impressive evidence of green tourism growth as a key development strategy’. The WTTC Global Summit is the most influential in the annual tourism calendar, bringing together almost 1,000 industry leaders to tackle some of the most pressing issues facing the industry. Abu Dhabi Tourism & Culture Authority’s director general, His Excellency Mubarak Al Muhairi explained that the entire Abu Dhabi tourism industry is fully behind the Summit. The Abu Dhabi Tourism & Culture Authority director general told Summit delegates would find much more to see and do in the UAE capital than ever before as Abu Dhabi has stepped up its tourism offering. “We have many more attractions, new beach resorts on Saadiyat Island, new city centre hotels and a new golf resort. “By this time next year, we will have opened another two major resorts – one on a beach, another fronting a mangrove forest and we will have welcomed more international names to the destination – Accor and Ritz-Carlton among them. Last year the Emirate broke all records for guest arrivals, with a total of 2.1 million people staying at hotels and hotel apartments over the course of the year – beating the official target of two million by 6.5 percent. This is a highly encouraging result came in a year which saw substantial additions to Abu Dhabi’s hotel and resort inventory, including several five-star beach properties opening up on Saadiyat Island to guests. “There is a clear correlation between this increase, our opening of offices in Russia and the USA, our heightened focus on the Asian markets, a vibrant calendar of world-class events, increased air access with the arrival into Abu Dhabi of new carriers and the expansion of Etihad Airways’ network and a substantial increase in cross-network marketing undertaken by the arrival of major new hospitality brands,” said ADTCA chairman Sheikh Sultan Bin Tahnoon Al Nahyan. Annual growth was also recorded across a number of other key metrics, including guest nights, which were up 22 percent to 6.3 million. Occupancy levels also rose seven percent to 69 per cent, while revenue was up three per cent to US $ 1.2 billion. All this leaves Abu Dhabi well positioned to reach a target of 2.3 million guests in 2012 – a 15 percent rise on the 2011 target. The figures, culled from a survey the authority commissioned from a leading consulting house, say that in 2010 – the latest year for which business events impact figures are available – the total economic impact of business events to the emirate was AED2.4 billion. The authority has set keen targets for its meetings, incentive, conventions and exhibitions (MICE) business for the coming eight years. 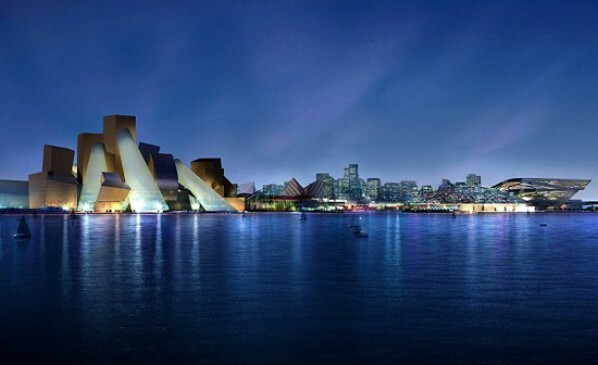 By 2015 it hopes to see the emirate viewed as the region’s leading meetings destination and ranked among the world’s top 100 meeting destinations with a four-fold increase in the number of MICE events currently held and double the number of MICE visitor arrivals and yield. Five years later it anticipates the emirate being viewed as a leading regional meetings destination with ten times the number of MICE events as now with the number of MICE visitors and yield quadrupling. Integral to Abu Dhabi’s success is the quality of its hotel and the ground-breaking levels of service and facilities they offer. This is exemplified by the iconic Emirates Palace, the palatial destination resort in the heart of Abu Dhabi. 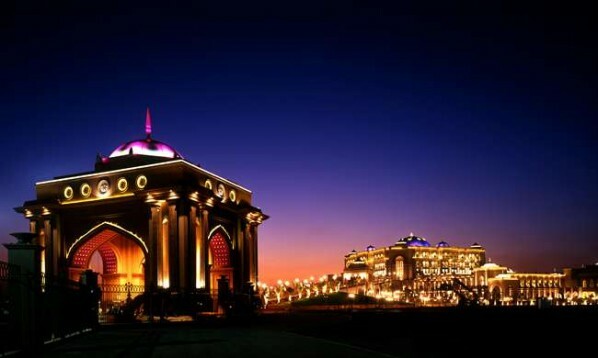 Located on a 1.3 kilometre stretch of private white pristine beach with 100 hectares of manicured lawns and lush landscaped gardens, Emirates Palace breathtaking surrounding make it the ultimate resort for corporate entertaining and indulgent getaways. It was recognised with accolades for ‘World’s Leading Conference and Meetings Hotel’ and ‘World’s Leading Presidential Suite’ at 2011 World Travel Awards. It has also been nominated in several categories in WTA’s forthcoming Middle East Ceremony which is set to take place in Dubai on 30 April 2012. A sparkling addition to the skyline of the UAE capital, Jumeirah at Etihad Towers opened last November on the beachfront of the West Corniche. The 280-metre, 66-floor building forms one of five towers of the Etihad Towers complex – a ground-breaking lifestyle development that also incorporates offices, residential apartments, as well as a shopping centre filled with designer boutiques. There is also a private beach, conference centre and a full range of gourmet restaurants. Guests can expect the trademark Jumeirah opulence with 382 rooms and suites loaded with the very latest in lifestyle technology. For the full Jumeirah experience check into the Royal Etihad Suite, located on the 60th floor and occupying a whopping 980 square metres. Jumeirah at Etihad Towers has rapidly established itself as a leading player on the global luxury hospitality scene, reflected in it picking up “World’s Leading New Hotel” at World Travel Awards Grand Final in January. It has also been nominated in four categories for the Middle East leg of World Travel Awards, which take place on 30 April 2012, including “Middle East’s Leading Suite” and “UAE’s Leading Hotel”. Yas Island is home to some of the UAE’s most exciting attractions, including Ferrari World – home of the world’s largest roller coast – events, as well as concerts and much much more. The flagship project of the $36 billion Yas Island development, the Yas Viceroy Hotel is a breathtaking fusion of architecture, design and technology, set half on land and half on water. It is also the first hotel in the world built directly over a Formula One race track and in 2010 was voted “World’s Leading New Hotel” by World Travel Awards. 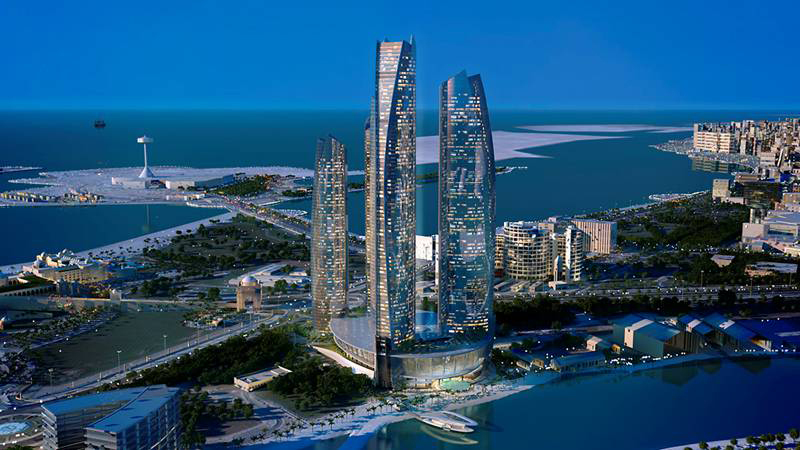 Attracting the luxury traveller forms an integral part of Abu Dhabi’s growth strategy. 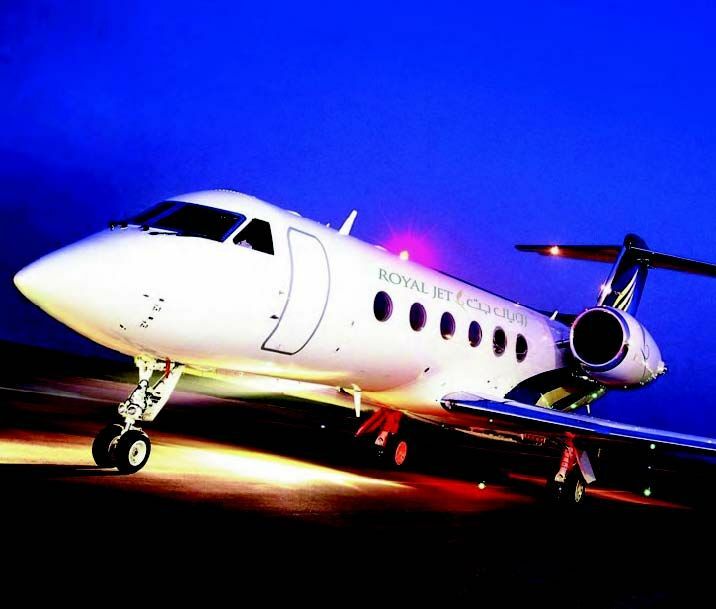 Royal Jet, the private jet charter company, has just come off its most success year yet in its eight-year history. The company, voted World’s Leading Private Jet Charter by the World Travel Awards, reported a 226 per cent increase in net profits year-on-year. 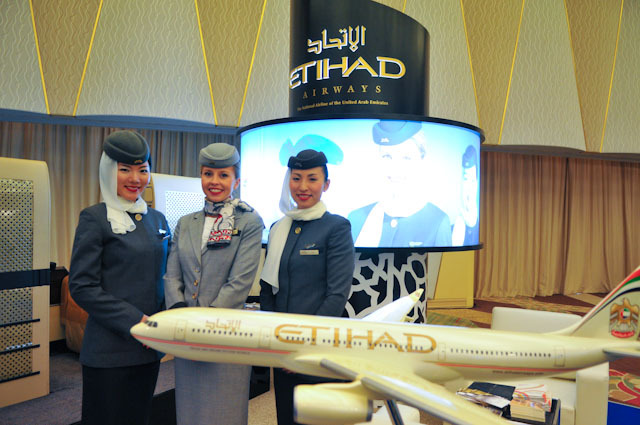 The UAE flag carrier Etihad Airways also continues to blaze a trail in aviation. Established just eight years old, the Abu Dhabi based airline has grown into a global superbrand. Its growth has never fallen below 40 percent a year in that time. This year it has reached the milestone stage of moving into profit. This coincided with it being voted “World’s Leading Airline”, “World’s Leading Airline First Class” and “World’s Leading Airline to the Middle East” at World Travel Awards 2011. A total of 8.3 million passengers flew with the flag carrier in 2011, up 17 per cent on 2010. Hogan, who was named WTTC vice chairman for the Middle East and Africa during this year’s Summit, said Etihad Airways was looking forward giving many of the WTTC delegates their first taste of Arabian hospitality on board their flight to Abu Dhabi for next year’s Summit. “Recent years have seen Abu Dhabi’s emergence as a dynamic, contemporary city and global economic powerhouse,” he said. A new terminal, designed to accommodate 1,300 passengers has been built at Mina Zayed as Abu Dhabi continues to develop as a cruise destination. A joint project from Abu Dhabi Ports Company and Abu Dhabi Terminals, the facility has been designed to cater for the 2011/2012 and 2012/2013 cruise seasons. MSC Lirica became the first vessel to homeport in the emirate following the opening of the terminal in late 2011. Abu Dhabi International Airport, which was celebrating its 30th anniversary last year, also has ambitious plans for the future. In the coming five years, the airport will be focusing on achieving new competitive milestones with the completion of the new Midfield Terminal Building, scheduled to open in 2017. The 700,000 square meter building is a landmark project being undertaken in Abu Dhabi and the UAE, and will be able to handle 27-30 million passengers per year when it opens. One of the highlights of the coming year is sure to be the Formula 1 Etihad Airways Abu Dhabi Grand Prix, scheduled to take place at the spectacular Yas Marina circuit on November 2nd-4th. 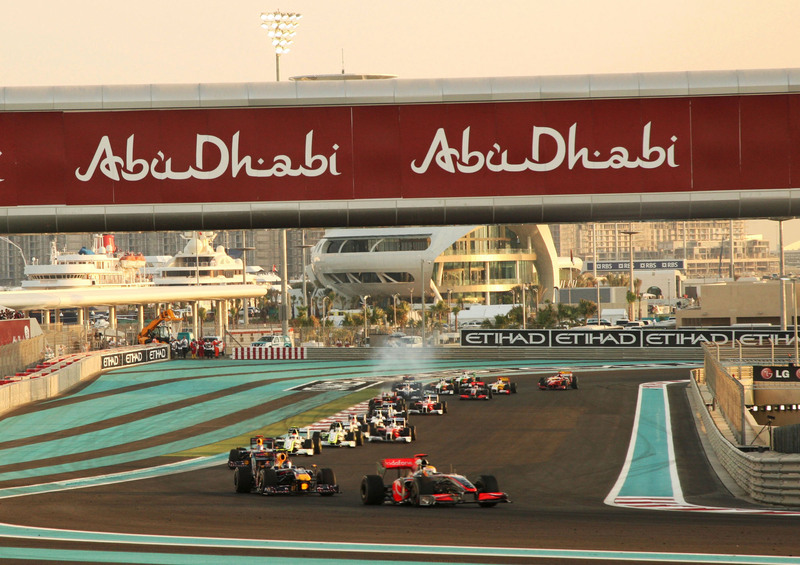 With United Arab Emirates flag-carrier Etihad Airways recently signing a deal with the Formula 1 group to extend its title sponsorship of the Grand Prix for a further four years, the event look sets to grow yet further. The deal will see the airline sponsor the event through to the 2015 with two F1-liveried aircraft flying to destinations across its network. Also on the horizon, Abu Dhabi’s neighbour Dubai will play host to the Middle East World Travel Awards Gala Ceremony on April 30th at the Jebel Ali Golf Resort & Spa.